On July 17th, 2014, Malaysian Airlines Flight 17 was shot down over Ukraine, tragically ending the lives of all 283 passengers and 15 crew. Carrying passengers from 11 different nationalities, the incident incited anger, shock and tension across the globe, while heightening already strained political relationships between Russia, Ukraine and the Western world. How can a memorial respond in this tense socio-political context and also give back to those lives that were cut too short? Memorials traditionally take the form of monuments to create a highly visible marker of an event or tragedy. 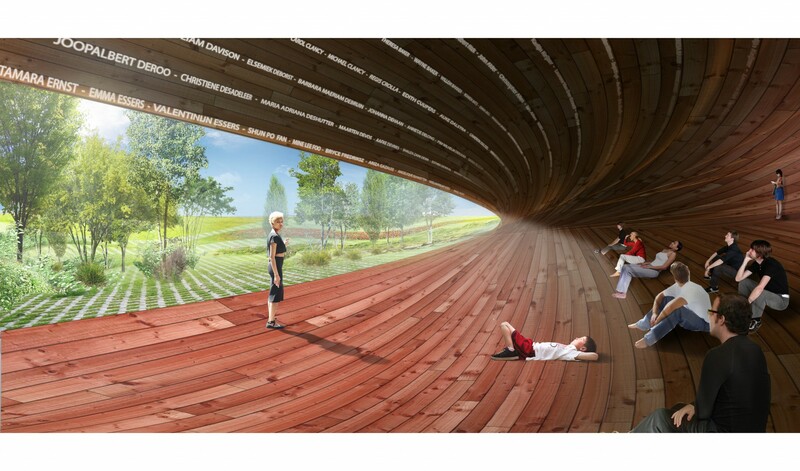 The MH17 Memorial in Amsterdam seeks to create not just a reminder of the tragic loss of lives that occurred, but also a forum for dialogue, a space for reflection, and a sublime public landscape that honors the lives lost. 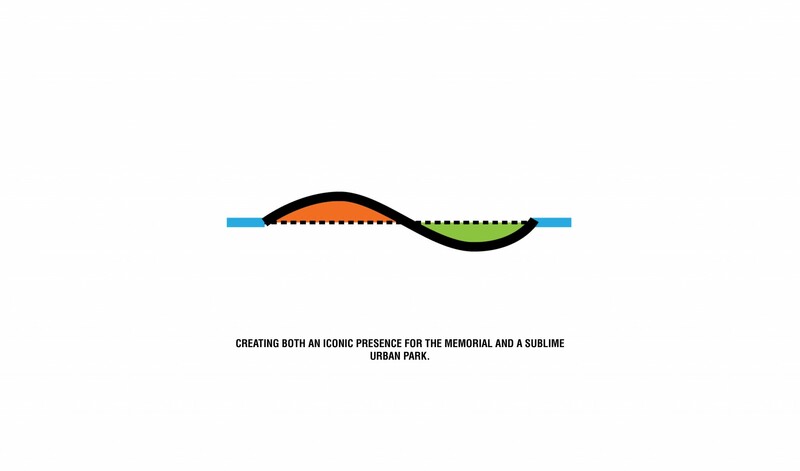 Architecturally, the memorial creates a duality between remembrance (the monument) and reflection (the forum) through the creation of two pockets of space. 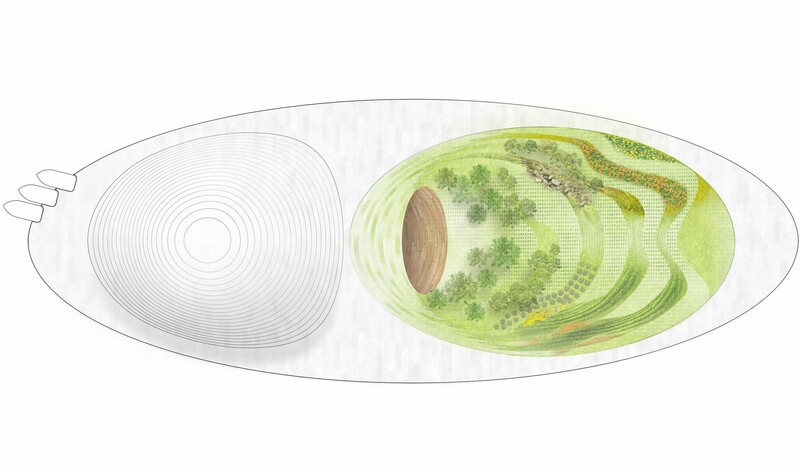 Oriented along the trajectory of the flight path, the first pocket arises from the water in a solid dome-like form, adding a soft outline to the Amsterdam skyline. 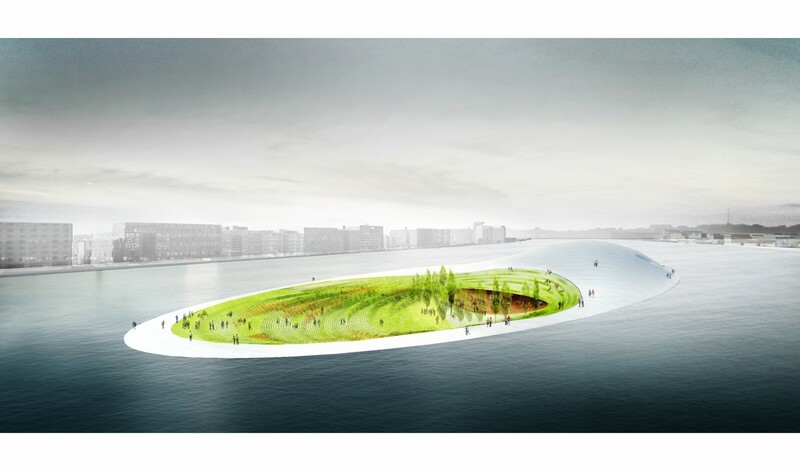 The second pocket disappears into the depth of the water and forms a submerged park that removes the specific context of Amsterdam and intimately connects visitors to a new landscape and to the sky. 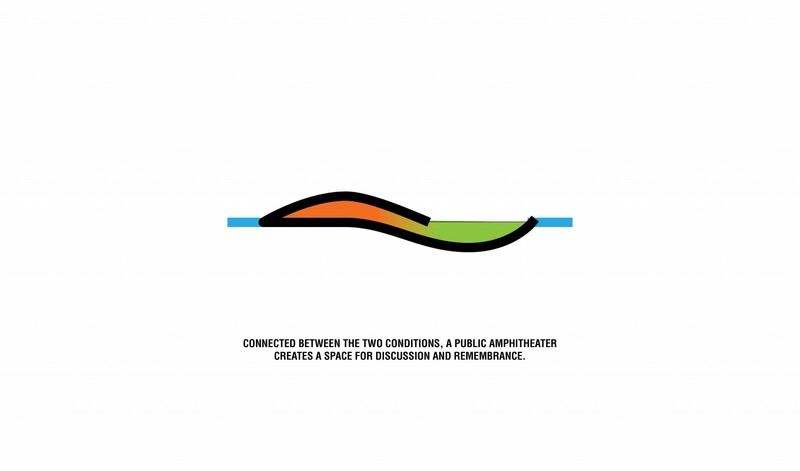 A tiered social space / amphitheater acts as a bridge between these two pockets, creating opportunities for lectures, dialogues, and events, and creates a transitional space between the monument and the park. 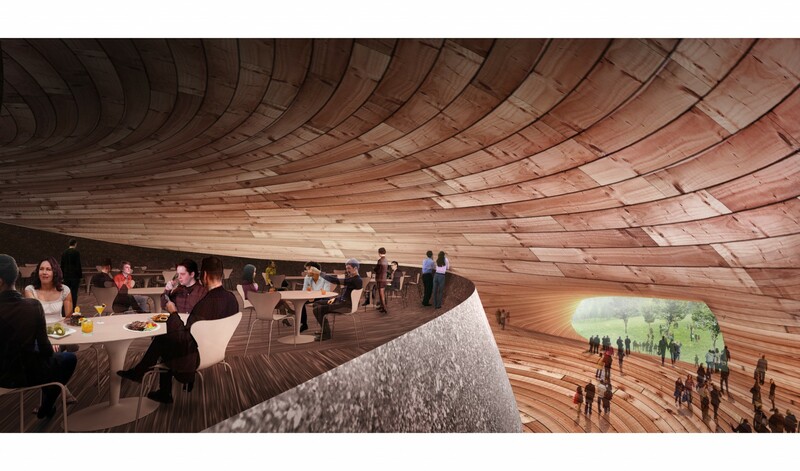 Entering from sea-level into the white stone-clad dome structure, visitors are immersed in a rich and warm wood environment which houses the multi-purpose space, cafe, and secondary program. A vast and expansive space, the entry lobby and visitor center create a sublime interior, contrasting with the light stone outside, As the walls and ceilings converge, a large opening reveals itself and washes the space in natural light, leading visitors to a tiered amphitheater and connection to the submerged park. Steps cascade down, forming large sitting areas and places to lay, relax, socialize and reflect, while also creating a space to hold large events. The names of the victims glow from the curving wood ceiling above, projecting the letters of each across the surfaces of the amphitheater space. 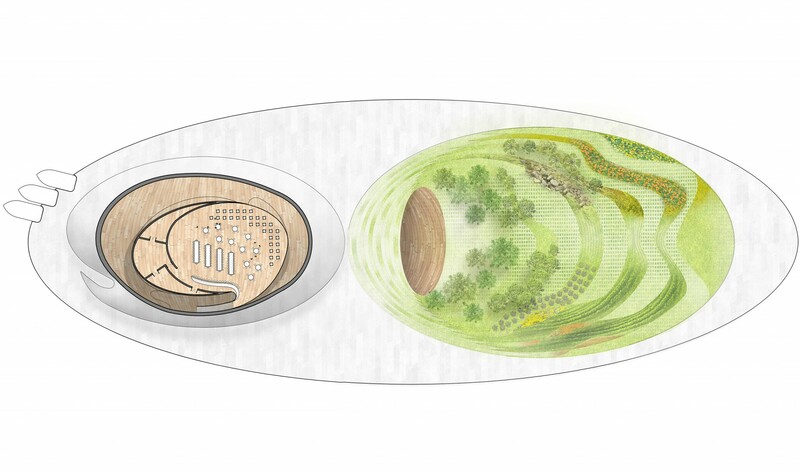 At the base, the interior flows out and merges with the hidden landscape. From this portal, visitors are completely disconnected from the surrounding urban context. Framing the sky, the park inhibits views outwards and creates an internalized landscape free from any distractions of the outside world. 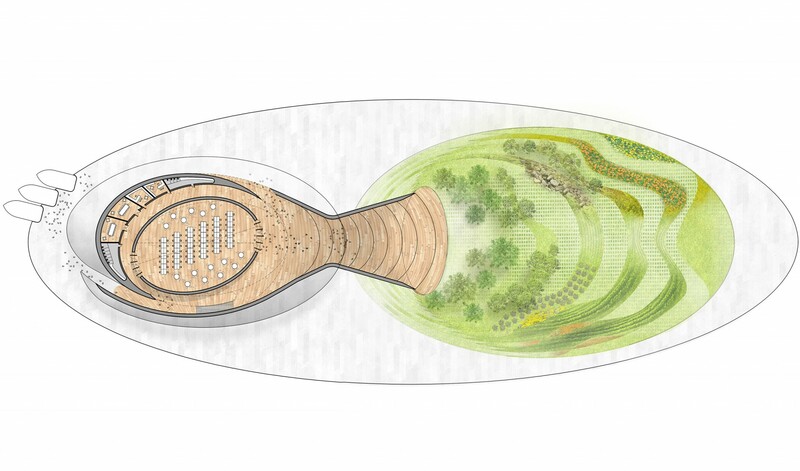 Like ripples, the park gently undulates upwards, creating an inversion of the monument above and a tiered circulation that brings visitors from the bottom of the landscape back to sea level. 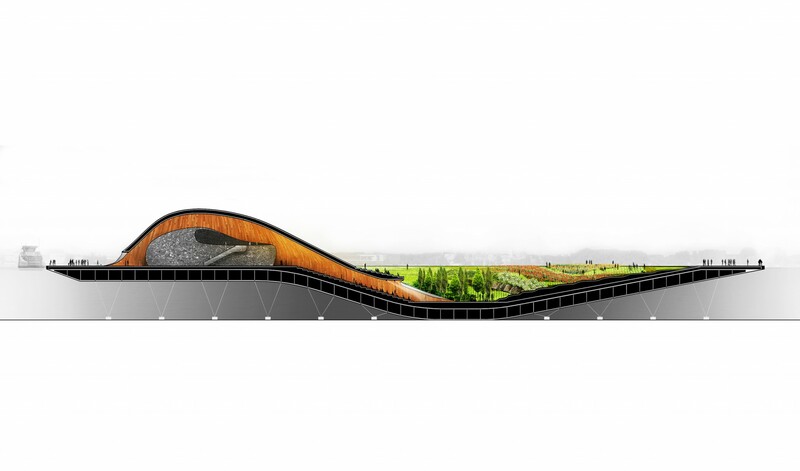 A striation of Dutch landscapes occupies each tier along with walking paths and places for rest and relaxation. 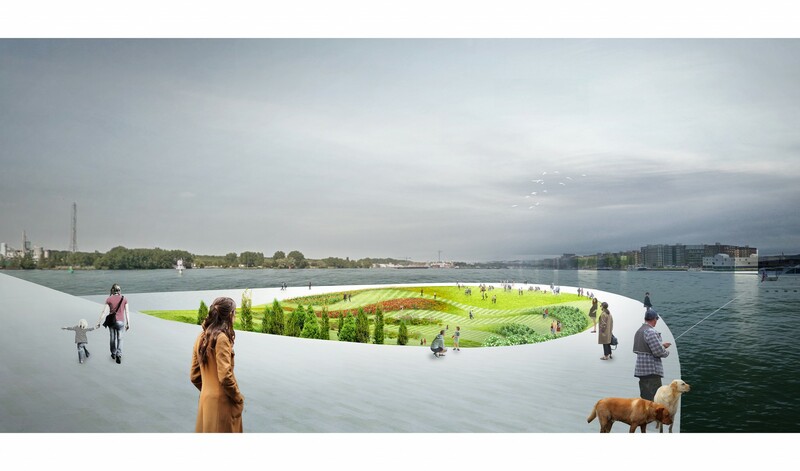 The uppermost ring wraps around the entire site, creating a boardwalk that reconnects visitors to the city and to the water. Rather than being a passive object, the MH17 Memorial in Amsterdam is an active participant in the remembrance of the tragedy and the lives lost. The memorial engages the urban context yet also disengages it. 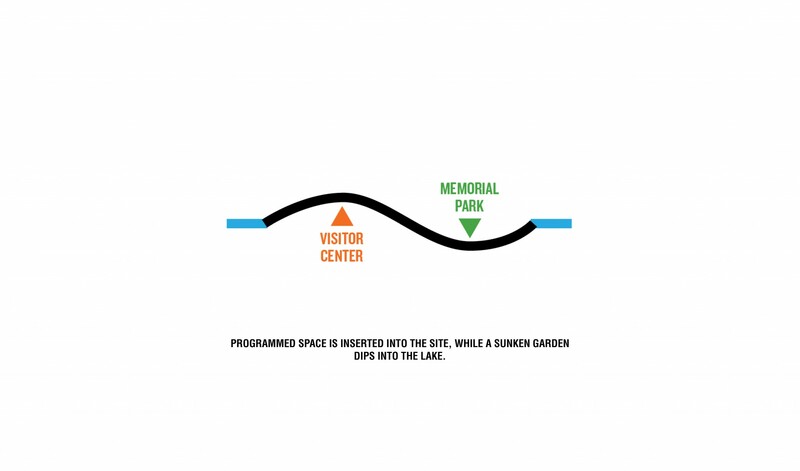 The memorial creates spaces for gathering while also spaces for solitary contemplation. The memorial remembers those we lost while also celebrating the continuity of life. 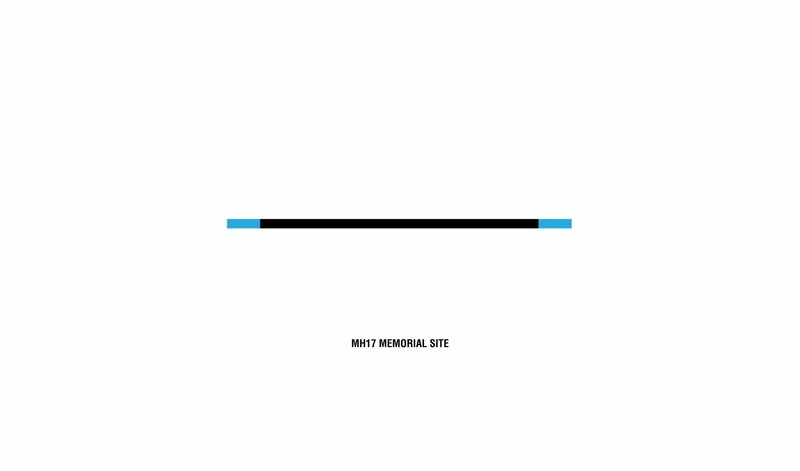 It is within these dualities that the MH17 Memorial becomes a powerful contributor to the city, pays tribute to the victims, and encourages dialogues with the world.